بني فندق Sanctuary Palm Cove في 2003، وهو يعتبر ميزة مُضافة للمدينة و خيار ذكي للمسافرين. يحظى هذا الفندق ذو 5 نجمات بمكان ممتاز يسمح بالوصول إلى المعالم السياحية الأكبر في المدينة، فهو يبعد مسافة 25 Km عن صخب المدينة. يوجد العديد من المعالم السياحية الأكثر جذبًا للسياح في هذه المنطقة. يعمل Sanctuary Palm Cove على ضمان إقامة مريحة لضيوفه من خلال خدماته الممتازة وحسن ضيافته. هذه بعض الخدمات الموجودة في هذا الفندق: واي فاي مجاني في جميع الغرف, توصيل من البقالية, خدمة سيارات الأجرة, خدمة حجز التذاكر, مجهز لذوي الإحتياجات الخاصة. بالإضافة لهذا، تتضمن كل غرف الضيوف مجموعة واسعة من وسائل الراحة . بعض الغرف توفر حتى تلفزيون بشاشة مسطحة, بياضات, مرآة, صوفا, مناشف لإرضاء أكثر الضيوف تطلبًا. صممت خدمات الاستجمام في الفندق والتي تتضمن حوض استحمام ساخن, مسار جولف - ضمن 3 كم, حمام سباحة خارجي, حمام سباحة داخلي, سبا لمساعدتك على الاسترخاء والراحة. يشكل Sanctuary Palm Cove بخدماته الراقية وموقعه الممتاز، قاعدة مثالية للاستمتاع بإقامتك في المدينة. يُطلب من الضيوف الذين سيصلون بعد 06:00 PM الإتصال بالعقار مباشرة قبل موعد وصولهم بـ 24 ساعة(ساعات) على الأقل. Huge apartment with large indoor and outdoor areas surrounded by magnificent gardens providing privacy . Felt like we were in a tropical rainforest. The pool is larger than it appears in the photos and crystal clear. Heaps of room for the kids to play and allow other guests to enjoy a swim. 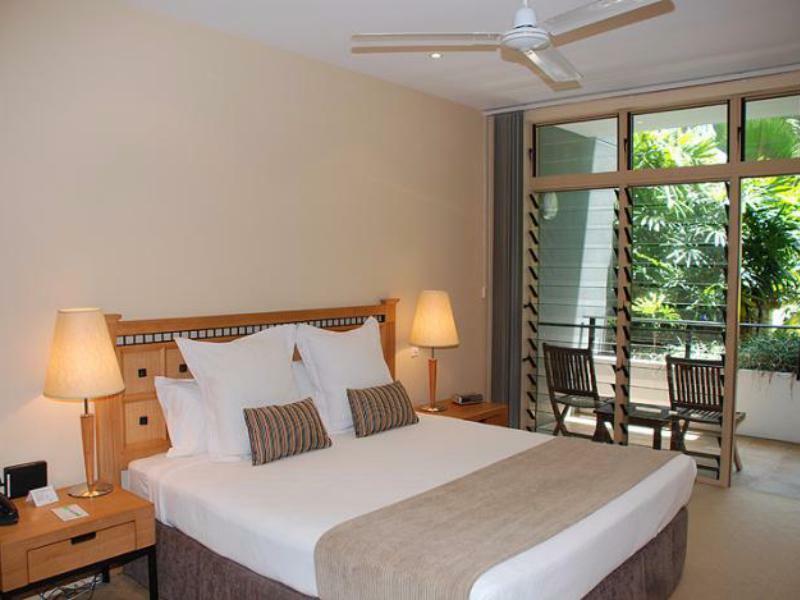 Overall a perfect place to relax and enjoy Palm Cove and the surrounding areas. Palm Cove is a great spot with a very relaxed vibe. Location is excellent (in middle of Cairns and Port Douglas) and definitely my pick as it is less busy. Sanctuary Palm Cove is amazing. Excellent accommodation complete with a great pool when it is stinger season in Far North Queensland. Apartments have everything you need and very comfortable. Highly recommended. Lovely spacious apartment and friendly and efficient staff. 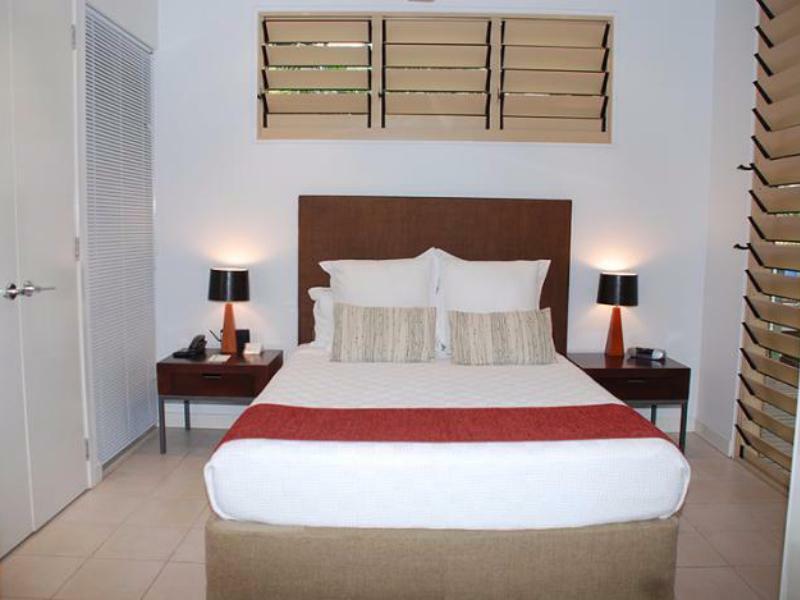 Location perfect, walking distance to beach and main strip. Had a wonderful relaxing holiday here. On the down side, neither the phone nor tumble dryer in our apartment worked properly and neither was attended to during our stay after we reported them. Great to have WiFi but it was a bit patchy and dropped out. Swimming pool was advertised as heated which was a big deciding factor for us coming here, but it’s temperature was pretty cool. Spa is the same temperature as the pool. We had a beautiful apartment which was very spacious and very well equipped. The furnishings and fittings were great and we enjoyed our time spent in the apartment. The kitchen had everything we needed and the living space was huge. We really felt like we didn't want to leave. These apartments certainly have the wow factor. When checking in I was handed not just keys but also a remote control for the entrance gate which electronically opened as you drove into the complex. Then another tap of the remote control allowed you access to your secure parking spot beneath our apartment block. Once in the room we were blown away with the accomodation which had been left with the fold back patio doors wide open for that full open plan experience merging the balcony and beautiful gardens into the living/dining room. We even saw Kangaroos in the garden directly below our balcony one morning which was amazing to see!. Palm Cove beach and a good choice of restaurants is literally a 2 minute walk away. If we ever returned to the area we'd definitely stay here again. 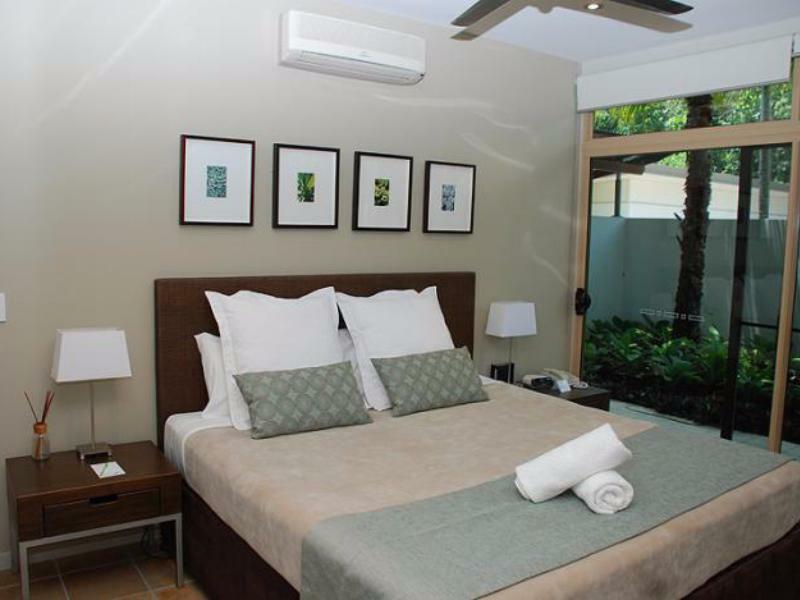 Fabulous, huge, very well equipped appartment, great kitchen , beautiful tropical gardens. Wonderful relaxing stay. Nice resort but without any facilities. We stayed there for 4 nights and the apartment was not cleaned once. For such a high price I would expect at least clean towels on a daily basis. Great Apartment. Great Surroundings. Great Staff.